A lot of water can come down during a rainstorm. Water in your yard should dry out within one to two days after a heavy storm, but if your yard continues to remain wet, then you may have a serious problem. Stop dealing with water problems and contact a waterproofing company. At Jerry's Waterproofing, we offer long-term waterproofing solutions to keep your property dry. In most cases, it's obvious where the water is coming from. Often gutters are clogged with leaves and debris. You can prevent most water drainage problems simply by cleaning out your gutters. Also, repair any underground broken pipes and plumbing issues. If water is pooling around the foundation, install proper downspout extensions to divert the flow of water away from the home. By taking most of these prevention steps, you can avoid water damage to your home. However, iif you have foundation issues due to water-related problems, hire a professional to assess your home. 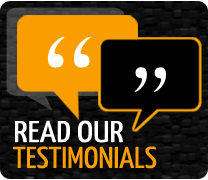 Our experts can determine the source of your water problems and provide the best solution for your home in Iowa and Nebraska. 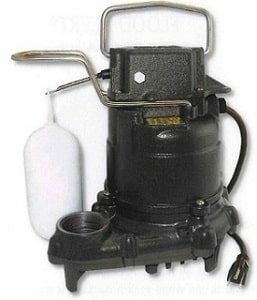 We can permanently and efficiently eliminate water in your yard. What Causes Water in Yard Problems? Foundation failure: The soil expands, causing heaving and foundation damage. Wall damage: As the soil expands, it creates pressure against the foundation walls. This causes cracks and bowing or leaning walls. Sticking doors and windows: Foundation problems cause soil pressure, making windows and doors hard to open and close. Mold growth: Too much moisture creates mold and mildew, including insect infestations. 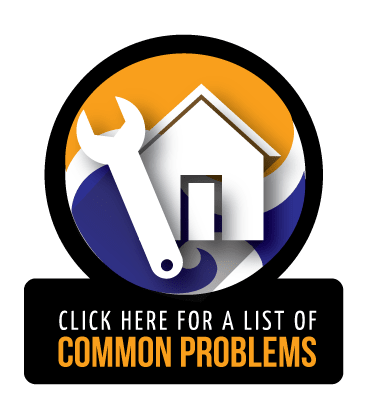 If your home has any of these issues, we can help. 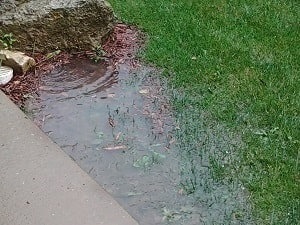 Don't ignore pooling water in your yard. At Jerry's Waterproofing, we offer basement waterproofing solutions to eliminate water in your yard. At Jerry's Waterproofing, we offer several waterproofing solutions such as basement drainage, TUFF-N-DRI waterproofing membranes, and sump pumps. Our basement drainage keeps your basement dry by collecting and draining groundwater before it enters the basement. It also helps reduce hydrostatic pressure and provide an escape route for water. A sump pump is installed in the basement floor to help collect and drain groundwater. Our waterproofing membranes are specifically designed to protect your home against moisture. They contain an elastic membrane that resists hydrostatic pressure, condensation and leaks. Also, it bridges cracks and insulates homes. We can install this system on poured concrete and block wall foundations. Contact Jerry's Waterproofing to find out the best system for your water problems. 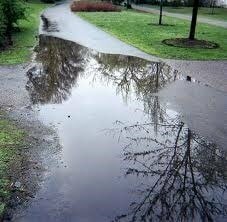 Keeping excess water from pooling around your foundation and in your yard can prevent future foundation issues as well. Call us today to get more information. We serve Iowa and Nebraska.